The Kubota story began in 1890 when an ambitious 19 year old man by the name of Gonshiro Kubota established a metal casting business in Osaka, Japan. Even from a young age, his vision was clear. He was determined to create quality products that improved the lives of his customers, their communities and were environmentally-friendly. These values have guided Kubota to where we are today and represent what we stand for. In 1922, Kubota began producing its own oil-based engines for agriculture and industrial applications. Kubota were ahead of their time, pioneering technologies that promoted energy saving, improved fuel efficiency and increased the durability and longevity of their products. To this day, Kubota are the world leading manufacturers of compact engines, dedicated to the research of advanced technologies that set the benchmark for the industry. Kubota first entered the equipment market in 1953, introducing its first construction equipment range that initially included power shovels and marine deck machinery. It would soon extend its range to include excavators, track and wheel loaders. Best known for their agriculture equipment, Kubota developed and launched Japan’s first farm tractor in 1960. Kubota were also the first business to distribute overseas, with their first order to a humanitarian project in Phnom Penh, Cambodia. Within two years of launching their first farm tractor, Kubota became one of the world’s most in demand manufacturers of paddy field tractors. A wide range of tractors, mowers, garden care and utility vehicles would soon follow. Word quickly spread about Kubota’s high quality and high performance equipment and distribution centres were opened in Australia, Canada, China, France, Germany, India, Indonesia, Korea, Phillipines, Thailand, The UK and USA. Kubota also acquired several manufacturing plants worldwide, including its newest facility in France, where the new M7 Series tractors are being produced. Today, Kubota Corporation is a highly successful multi-national company employing over 35,000 people worldwide. Based in Osaka, Japan, Kubota’s equipment range extends to agriculture, construction and power equipment and is distributed to over 31 countries. Our extensive product range is renowned for its high performance, durability and reliability, and is specifically engineered to excel in Australia’s tough and diverse conditions. Kubota is committed to protecting our environment and has invested in advanced technologies to offer equipment that provides powerful performance while reducing emissions. All Kubota equipment is distributed and serviced through our authorised dealer network with over 140 dealers Australia-wide. Drawing upon their many years of experience, our dealers passion for the industry, in-depth knowledge and commitment to the customer is evident from first contact. Many of our dealers offer showrooms where you can view and test drive our extensive product range, and can visit your premises to help you select the right equipment to suit your needs. Backed with immediate access to our substantial spare parts inventory nationwide you can count on your local Kubota dealership to provide efficient and reliable service support when you need it most. All Kubota dealers and service staff are experts in their field and undertake regular product and technical training at our national training facility in Melbourne. 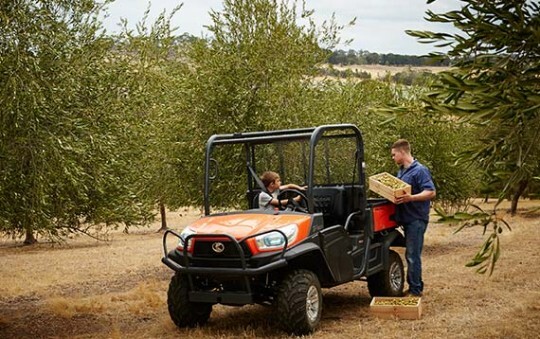 In 2011, Kubota Australia Finance (KAF) was introduced offering competitive finance options to both consumers and business operators. Kubota currently offers equipment loan and mortgage for commercial operators, consumer loans and operating leases for corporate clientele. Whether you’re looking to grow your business or simply keep your property in top shape, Kubota has the products, experience and support to help you choose the right equipment to suit your needs.